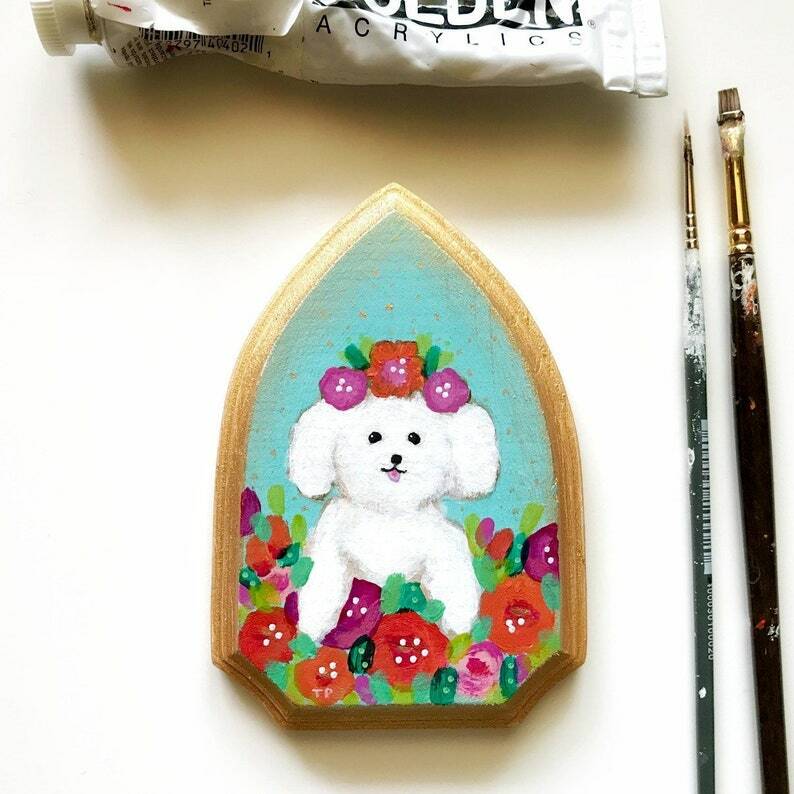 "Cute little Bichon in the flower bed"
Sweet little puppy in a bed of fresh spring flowers. 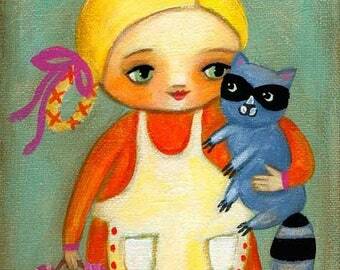 This is an original mini sized acrylic painting by artist Tascha. The small size of the painting makes it so adorable. It measures 4.75 inches tall and 3.25 inches wide. 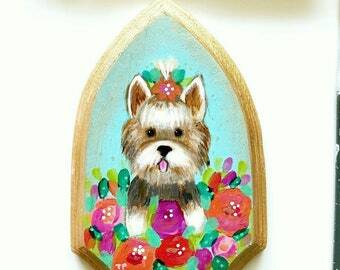 Painted in acrylic paint on a small wooden plaque. There has been a hole drilled in the back so that it can be hung on a nail flush with the wall. Gold paint has been used to create a faux frame around the beveled edge of the painting. Magical! Darling! One of a kind painting.